The second seminar in the 2015–16 History of Pre-Modern Medicine Seminar Series takes place on Tuesday 27th October. Title-page of Eucharius Rösslin’s Der Swangern Frauwen und hebammen Rosegarten (1513), reproduced in: Closed stores Hist. 2 (RMR) UL.C.AA5: Gustav Klein, Eucharius Rösslin’s “Rosengarten”: gedruckt im jahre 1513 (Munich: C. Kuhn, 1910). 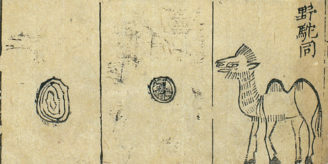 Wellcome Images L0006502. By 1600 only a few gynaecological texts written in Latin and none of those written in vernacular languages in the Middle Ages had made the transition into print. 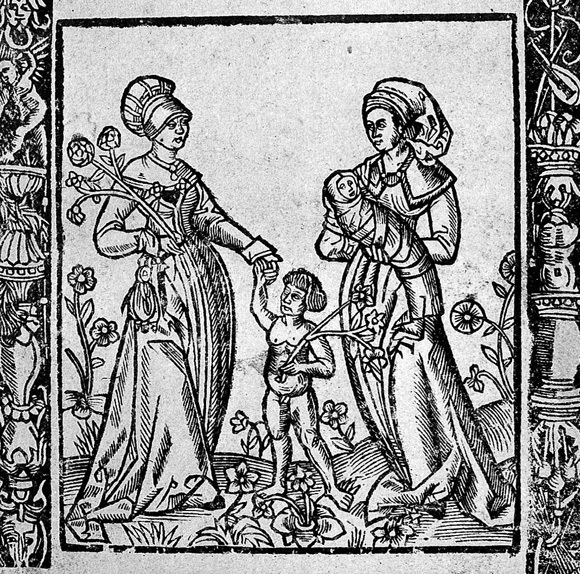 In spite of this apparent lack of interest in the subject, the 16th century saw the appearance, Europe-wide, of new Latin gynaecological texts, the birth of obstetrical writing, especially in the vernacular, and the creation of a new audience for these texts: midwives. This state of affairs prompts many questions. How ‘new’ were these vernacular texts? To what extent were they the products of local practices? By engaging with the transition from medieval to Renaissance cultures of reading and disseminating knowledge, I will propose a survey of newly authored printed vernacular works on childbirth in Europe, and will seek to understand how these new books emerged from – and related to – a Latinate and manuscript medical culture. Building on recent landmark monographs which seek to understand what happened to ‘women’s medicine’ in the 16th and 17th centuries, the paper will focus on current research on the topic and – by giving due attention to Latin sources circulating in the later Middle Ages and the 16th century – will suggest possible solutions to the apparent gulf separating the medieval manuscript texts, the new early modern print literature, and their respective audiences. 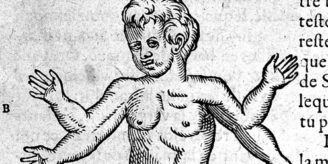 The seminar series is focused on pre-modern medicine, which we take to cover European and non-European history before the 20th century (antiquity, medieval and early modern history, some elements of 19th century medicine).